A COVENTRY man has launched a petition calling on all city Councillors to hand in their resignation. Robin Elms, from Tile Hill, launched the petition found here on online site 38Degrees after becoming frustrated with what he calls Councillors’ ‘shambolic’ running of the city. 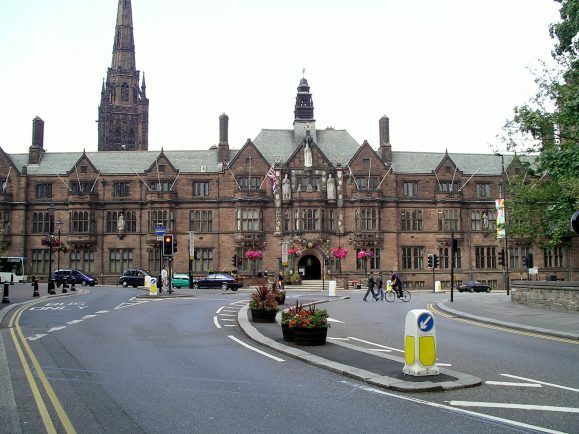 The petition, which at the time of writing had already garnered over 680 signatures, reads: “The people of Coventry appear to of [sic] lost all faith in the current ruling council. “As a resident of Coventry I ask that they resign on mass and hold new local elections. The 58-year-old Account Manager said he was inspired to launch his appeal after Coventry City Council ruled out a referendum to let people decide whether the city would join Birmingham and the Black Country in a combined authority. He said he fears the decision is being rushed through Coventry council with a lack of available information and too many unanswered questions. Mr Elms added: “The problem is that the merger with Birmingham is not whether it could be a success or a failure, but that there has been a consensus among Councillors that they won’t ask the people who elected them about it. He also hit out at Council claims that a referendum in Coventry would prove too costly – arguing that considering the Council’s approval of three more £100,000 top jobs it ‘doesn’t add up’ that they say money is a barrier. “If Greece can arrange a country-wide referendum in ten days, why can’t the City Council manage the same thing and allow the people of Coventry to have their voices heard?” Mr Elms said. “I’m calling for all Councillors – Labour and Conservative – to hand in their notice as I don’t want make this into a party war. “They all vote on these matters and hopefully this petition will allow the city to have a proper, fair debate about something which will affect all of us.